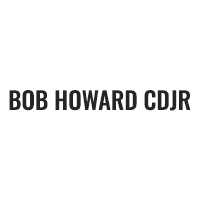 Bob Howard Chrysler Jeep Dodge Ram invites you to explore our Chrysler Jeep Dodge Ram lease deals and new car specials in Oklahoma City, OK. If you’re looking for only the best Oklahoma City deals on new Chrysler Jeep Dodge Ram cars, trucks, SUVs and minivans, then look no further. Our friendly Chrysler Jeep Dodge Ram leasing team is standing by to help you find the Chrysler Jeep Dodge Ram special offer you need to drive away in a new vehicle today. Can’t find the Chrysler Jeep Dodge Ram specials or lease deals you’re looking for? Contact us today for a personalized list of Chrysler Jeep Dodge Ram offers in Oklahoma City, OK.
We are excited to offer this 2019 Jeep Compass. This Jeep includes: MONOTONE PAINT APPLICATION TRANSMISSION: 6-SPEED AISIN F21-250 GEN 3 AUTO (STD) Transmission w/Dual Shift Mode A/T 6-Speed A/T REDLINE PEARLCOAT ENGINE: 2.4L I4 ZERO EVAP M-AIR W/ESS (STD) 4 Cylinder Engine Gasoline Fuel *Note - For third party subscriptions or services, please contact the dealer for more information. * Want more room? Want more style? This Jeep Compass is the vehicle for you. You can finally stop searching... You've found the one you've been looking for. The Jeep Compass Latitude will provide you with everything you have always wanted in a car -- Quality, Reliability, and Character. We look forward to seeing you soon! Please call us for more information. We are excited to offer this 2018 Jeep Wrangler Unlimited. This Jeep includes: ENGINE: 2.0L I4 DOHC DI TURBO ETORQUE 4 Cylinder Engine Gasoline Fuel Turbocharged TRANSMISSION: 8-SPEED AUTOMATIC (850RE) 8-Speed A/T Transmission w/Dual Shift Mode A/T MANUFACTURER'S STATEMENT OF ORIGIN (DISC) NO LONGER AVAILABLE BLACK 3-PIECE HARD TOP Targa Roof Rear Defrost Convertible Hardtop QUICK ORDER PACKAGE 28B TRAILER TOW Tow Hitch BLACK CLEARCOAT *Note - For third party subscriptions or services, please contact the dealer for more information. * Want more room? Want more style? This Jeep Wrangler Unlimited is the vehicle for you. Equipped with 4WD, this Jeep Wrangler Unlimited gives you added confidence to tackle the surface of any path you take. This vehicle won't last long, take it home today. We look forward to seeing you soon! Please call us for more information. We are excited to offer this 2019 Jeep Cherokee. This Jeep includes: ENGINE: 3.2L V6 24V VVT W/ESS (STD) V6 Cylinder Engine Gasoline Fuel QUICK ORDER PACKAGE 27L TRAILHAWK ELITE Cargo Shade Remote Engine Start Mirror Memory Cooled Front Seat(s) Power Mirror(s) Heated Steering Wheel Seat Memory Auto-Dimming Rearview Mirror Universal Garage Door Opener Security System Power Passenger Seat Power Driver Seat Heated Front Seat(s) Passenger Adjustable Lumbar Driver Adjustable Lumbar RADIO: UCONNECT 4C NAV HD Radio Navigation System AM/FM Stereo Satellite Radio Bluetooth Connection GRANITE CRYSTAL METALLIC CLEARCOAT WHEELS: 17 Aluminum Wheels TRANSMISSION: 9-SPEED 948TE AUTO W/ACTIVE DRIVE II (STD) Transmission w/Dual Shift Mode A/T 9-Speed A/T *Note - For third party subscriptions or services, please contact the dealer for more information. * Want more room? Want more style? This Jeep Cherokee is the vehicle for you. Simply put, this Four Wheel Drive is engineered with higher standards. Enjoy improved steering, superior acceleration, and increased stability and safety while driving this 4WD Jeep Cherokee Trailhawk Elite. Enjoy the drive without worrying about directions thanks to the built-in navigation system. We look forward to seeing you soon! Please call us for more information. We are excited to offer this 2018 Jeep Wrangler Unlimited. This Jeep includes: WHEELS: 17 Aluminum Wheels MANUFACTURER'S STATEMENT OF ORIGIN (DISC) NO LONGER AVAILABLE TRANSMISSION: 8-SPEED AUTOMATIC (850RE) 8-Speed A/T Transmission w/Dual Shift Mode A/T TRAILER TOW Tow Hitch CONVENIENCE GROUP Universal Garage Door Opener QUICK ORDER PACKAGE 28S SPORT Automatic Headlights Driver Vanity Mirror Passenger Vanity Mirror Power Mirror(s) Power Windows Heated Mirrors Security System Leather Steering Wheel Power Door Locks Keyless Entry Passenger Illuminated Visor Mirror Driver Illuminated Vanity Mirror SAFETY GROUP Rear Parking Aid Blind Spot Monitor Cross-Traffic Alert BRIGHT WHITE CLEARCOAT TIRES: 245/75R17 ALL-TERRAIN Tires - Rear All-Terrain Tires - Front All-Terrain TECHNOLOGY GROUP Smart Device Integration A/C Climate Control AM/FM Stereo Satellite Radio Bluetooth Connection COLD WEATHER GROUP Heated Steering Wheel Heated Front Seat(s) ALPINE PREMIUM AUDIO SYSTEM Premium Sound System ENGINE: 2.0L I4 DOHC DI TURBO ETORQUE 4 Cylinder Engine Gasoline Fuel Turbocharged *Note - For third party subscriptions or services, please contact the dealer for more information. * Want more room? Want more style? This Jeep Wrangler Unlimited is the vehicle for you. With 4WD, you can take this 2018 Jeep Wrangler Unlimited to places roads don't go. It's all about the adventure and getting the most enjoyment out of your new ride. This is the one. Just what you've been looking for. We look forward to seeing you soon! Please call us for more information. We are excited to offer this 2019 Ram 1500. This Ram includes: RADIO: UCONNECT 4C NAV Multi-Zone A/C Smart Device Integration HD Radio A/C Climate Control AM/FM Stereo Satellite Radio Telematics REAR WHEELHOUSE LINERS TRAILER TOW GROUP Integrated Turn Signal Mirrors Tow Hitch PREMIUM LIGHTING GROUP Fog Lamps QUICK ORDER PACKAGE 25Z BIG HORN/LONE STAR Steering Wheel Audio Controls TIRES: 275/55R20 ALL SEASON LRR Tires - Front Performance Tires - Rear Performance E-LOCKER REAR AXLE Locking/Limited Slip Differential BLIND SPOT Blind Spot Monitor Cross-Traffic Alert ENGINE: 5.7L V8 HEMI MDS VVT Gas/Electric Hybrid 8 Cylinder Engine BIG HORN NON-BSG LEVEL 2 GROUP W/MEDIA HUB Multi-Zone A/C Driver Vanity Mirror Remote Engine Start Smart Device Integration Integrated Turn Signal Mirrors HD Radio Passenger Vanity Mirror A/C Power Mirror(s) CD Player Heated Steering Wheel Climate Control Auto-Dimming Rearview Mirror Rear Parking Aid Universal Garage Door Opener Heated Mirrors Security System Rear Defrost AM/FM Stereo Power Driver Seat Heated Front Seat(s) Satellite Radio Tow Hitch Adjustable Pedals Bluetooth Connection Passenger Illuminated Visor Mirror Driver Illuminated Vanity Mirror Auxiliary Audio Input Power Folding Mirrors Driver Adjustable Lumbar MP3 Player TRANSMISSION: 8-SPEED AUTOMATIC (8HP75) 8-Speed A/T Transmission w/Dual Shift Mode A/T DIAMOND BLACK CRYSTAL PEARLCOAT 33 GALLON FUEL TANK 3.92 REAR AXLE RATIO WHEELS: 20 Chrome Wheels MANUFACTURER'S STATEMENT OF ORIGIN *Note - For third party subscriptions or services, please contact the dealer for more information. * Pull up in the vehicle and the valet will want to parked on the front row. This Ram 1500 is the vehicle others dream to own. Don't miss your chance to make it your new ride. This 4WD-equipped vehicle handles any condition on- or off-road with the sure footedness of a mountain goat. With unequaled traction and stability, you'll drive with confidence in any weather with this C 2019 4WD Ram 1500 Big Horn. Look no further, you have found exactly what you've been looking for. We look forward to seeing you soon! Please call us for more information. We are excited to offer this 2019 Ram 1500. This Ram includes: CHROME APPEARANCE GROUP Aluminum Wheels BRIGHT WHITE CLEARCOAT ENGINE: 5.7L V8 HEMI MDS VVT Gas/Electric Hybrid 8 Cylinder Engine TRAILER TOW GROUP Integrated Turn Signal Mirrors Power Mirror(s) Heated Mirrors Tow Hitch TRADESMAN LEVEL 1 EQUIPMENT GROUP Floor Mats Satellite Radio QUICK ORDER PACKAGE 25A TRADESMAN TRANSMISSION: 8-SPEED AUTOMATIC (8HP75) 8-Speed A/T Transmission w/Dual Shift Mode A/T *Note - For third party subscriptions or services, please contact the dealer for more information. * When Ram created this vehicle with 4 wheel drive, they immediately enhanced the performance ability. Easily switch between two and four wheel drive to take advantage of the improved steering and superior acceleration. The Ram 1500 Tradesman will provide you with everything you have always wanted in a car -- Quality, Reliability, and Character. You've found the one you've been looking for. Your dream car. We look forward to seeing you soon! Please call us for more information. We are excited to offer this 2019 Ram 1500. This Ram includes: BIG HORN LEVEL 2 EQUIPMENT GROUP Multi-Zone A/C Driver Vanity Mirror Remote Engine Start Smart Device Integration Integrated Turn Signal Mirrors HD Radio Passenger Vanity Mirror A/C Power Mirror(s) CD Player Heated Steering Wheel Climate Control Auto-Dimming Rearview Mirror Rear Parking Aid Universal Garage Door Opener Heated Mirrors Security System Rear Defrost AM/FM Stereo Power Driver Seat Heated Front Seat(s) Satellite Radio Tow Hitch Adjustable Pedals Bluetooth Connection Passenger Illuminated Visor Mirror Driver Illuminated Vanity Mirror Auxiliary Audio Input Power Folding Mirrors Driver Adjustable Lumbar ANTI-SPIN DIFFERENTIAL REAR AXLE Locking/Limited Slip Differential QUICK ORDER PACKAGE 25Z BIG HORN/LONE STAR Steering Wheel Audio Controls PROTECTION GROUP Tow Hooks TIRES: 275/55R20 ALL SEASON LRR Tires - Front Performance Tires - Rear Performance ENGINE: 5.7L V8 HEMI MDS VVT Gas/Electric Hybrid 8 Cylinder Engine REAR UNDERSEAT COMPARTMENT STORAGE TRANSMISSION: 8-SPEED AUTOMATIC (8HP75) 8-Speed A/T Transmission w/Dual Shift Mode A/T 33 GALLON FUEL TANK SPORT APPEARANCE PACKAGE Integrated Turn Signal Mirrors Tires - Front Performance Power Mirror(s) Heated Mirrors Tires - Rear Performance Power Folding Mirrors WHEELS: 20 Chrome Wheels DELMONICO RED PEARLCOAT *Note - For third party subscriptions or services, please contact the dealer for more information. * You appreciate the finer things in life, the vehicle you drive should not be the exception. Style, performance, sophistication is in a class of its own with this stunning Ram 1500. Handle any terrain with ease thanks to this grippy 4WD. Whether you're on a slick pavement or exploring the back country, you'll be able to do it with confidence. Based on the superb condition of this vehicle, along with the options and color, this Ram 1500 Big Horn/Lone Star is sure to sell fast. We look forward to seeing you soon! Please call us for more information.